Michael is a seasoned executive who combines frontline operations and business development experience with deep-rooted strategic, analytic and financial acumen. Michael was recently the CFO of Better Homes and Gardens MMRE Real Estate, a leading US residential real estate company and served as CFO for OHA Financial, a financial services company. Michael was a managing director of Leede Companies Private Equity, where he sourced investment opportunities, conducted due diligence, negotiated acquisition agreements and served in C-level positions for portfolio companies. As a senior manager and subject matter expert in Ernst & Young’s Financial Advisory Services consulting group, Michael was the thought leader and project manager for a team that designed and implemented a strategic decision-making process for United Parcel Service. While advising Dell Computer’s CFO, he uncovered a potentially catastrophic flaw in Dell’s financial focus and strategy. After he recommended a plan to align the company’s financial strategy with its operating strategy, Dell dramatically changed the way it conducted business. Michael began his career with what is now KMPG as a CPA in the firm’s tax department. 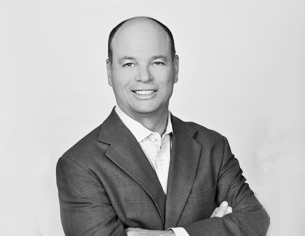 Michael has served on several private boards of directors including: ReView Video, Falcon Ventures, Suburban Broadband, and Tropica Sands Jaco Beach Investment Group. He holds a BBA in accounting from the University of Texas at Austin, and an MBA from the University of Chicago, where he graduated with honors.